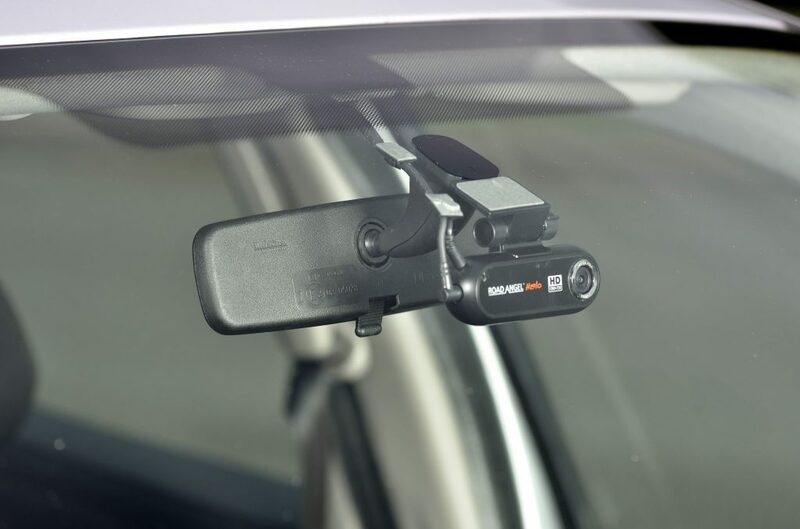 Leading speed management and driver safety experts, Road Angel Group, is pleased to announce its Halo dashcam has built-in parking protection to capture footage when a vehicle is left unattended. The Halo begins recording out of both the front and rear windows when it sees any motion or senses a shock. Users can then play back the footage to see what happened and then submit this video file as evidence to the police, the DVLA or insurers. In order for parking mode to be enabled, the Halo must be hardwired to the car’s battery. It automatically enters into parking mode when the ignition is switched off, using a small percentage of the car’s battery to power up and record any movement. There’s a clever in-built power management system to ensure the car’s battery is never depleted. While you are away, if someone causes damage or crashes into your vehicle then Halo films for 15 seconds before and 15 seconds after the motion/shock was detected. Halo’s parking protection is extra effective because footage is captured from both the front and rear cameras. The video files are then locked down for playback later.“Having two angles definitely improves the chances of recording the incident and being able to track down the person at fault,” Carys explains. The cameras used in Halo have a wide field of view (150°) both front and rear and footage is recorded in direct to the included SD memory card in High Definition (HD). Halo has a recommended retail price of £199 and is available through all Road Angel Group resellers, mainly online. Note to editors: The Halo dashcam is the latest driver safety product to come from UK based Road Angel Group. Established in 2002, the Road Angel Group is the renowned pioneer of safety camera locators. Its current speed camera locator is called the Gem+.The firm also sells Bike-Trac – a tracking unit used to recover stolen motorcycles. For more information on other Road Angel Group products, please visitwww.roadangellive.com.